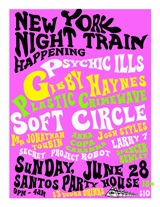 A Tripped Out New York Night Train Happening this Sunday! Panache at NXNE in Toronto this Friday June 19th! Panache will be in Toronto this weekend in full effect! Come out to our showcase Friday night @ Sneaky Dees! 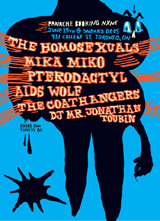 Also see HEALTH play Thursday night at Horseshoe Tavern at 1am. Panache will also be featured at a NXNE panel Friday at 1:30pm at Regency C. Hope to see you there! Kick off the summer with us at Brooklyn’s own Northside Festival at Union Pool. Panache is hosting a showcase to start off the crazy weekend of hundreds of shows, and lots of dancing!